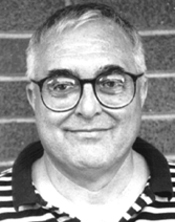 Ed Dover joined Western Oregon University in September, 1987 after ten years of college teaching in Wyoming, Colorado, and Tennessee. He teaches introductory courses in American government and public administration and advanced courses such as: Political Parties, Pressure Groups, and Elections, American Presidential Elections, Federalism and Intergovernmental Relations, Public Personnel Administration, Governmental Budgeting, Congress and the Presidency, Constitutional Law, Community Politics, and Public Sector Labor Relations. His scholarship focuses on American presidential elections and includes six published books and various papers dealing with voting patterns, news coverage, television advertising, and electoral disputes involving the elections from 1960 to 2012. Dover is also an active member of the faculty labor union, the Western Oregon University Federation of Teachers where he has served several terms as both chapter president and chief negotiator in collective bargaining negotiations.